Tomato Rasam / Saru is quick and easy to make with no lentils or dals. It needs very few ingredients yet results in a delicious rasam. This can be consumed as a soup or with rice. This is garlic-free version, but if you like, you can add a clove of garlic while you grind. Rasam or saaru is basically south Indian tomato soup, best during winter days. 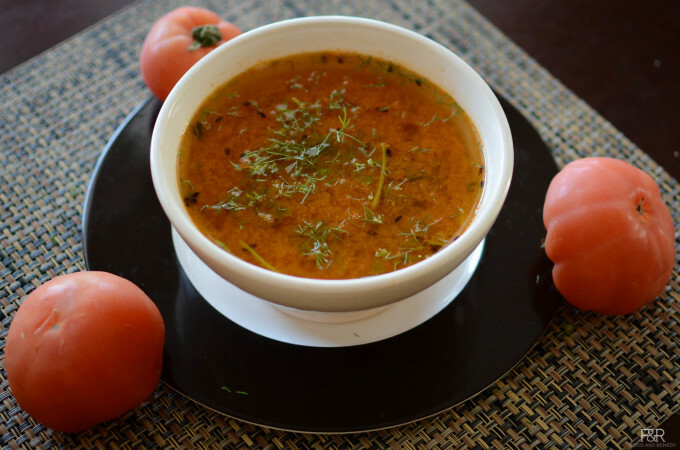 Try this easy Tomato saaru and I am sure you love it. Try this Mysore Rasam , Mung dal rasam and more rasams like jeera pepper, buttermilk rasam ..